Somehow it looks like a managed to lockup your other thread (link above) when I tried to post the embed code for your video. You should build an electric version of this. Maybe even a single, powered rear wheel and two front wheels for steering instead of the standard trike. I think the asthetics of old-school trikes and variants might be more appealing to the electric transportation market. Flexboardz wrote: Thanks BgSurfer ! Can you please remind me the code to post youtube video on the forum? BgSurfer wrote: Is this what you are wanting to post? Click share under your video at YouTube. Then click embed. Copy the embed code and paste it in your post. Copy the embed code -- in the box that displays when you click Embed -- and paste it into the message box for posting here on this forum. 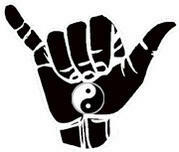 I am reallly sorry to have caused trouble to SurfingDirt forum. That's a big piece of board knowledge and I am a bit sad to see it deserted. Pretty sure I locked it up when I tried to post the prefix and suffix of an embed code for you to see. That's why there is an empty box at the end of my last post in that thread. I should start another thread and see if I can freeze that one too. Could your Flexboardz truck system be used for larger wheels with a wider track? That would create more ground clearance for a larger power plant and look more stable to the potential customer? An electric trike concept has been something that has interested me for several years now -- originally I was thinking of a self-propelled ("tadpole" style) trike that leaned with turns. I didn't know the E trike above. Having the legs controling the leaning is a very smart solution. I am surprized that this design had not more success. We are working on a seated scooter too but but more targeted toward disabled/senior mobility. With the usual "few months of delays", we are glad to introduce our new Flexscoot models. We are currently fine tuning the last details during a first production run and we will launch fully next month (website is under repair but you can follow flexscoot on facebook). It will be also the opportunity to cast a new generation of Flexboardz. Didn't you used to have a website that showed close-up pictures and/or diagrams of your lean tucks and their technology? Do you have any pictures and/or diagrams of your truck technology that shows the mechanism and how it works? Would you be willing to post them? Or is all of this technology secret sauce? I would really like to look at its potential for larger wheel trikes similar to one I posted earlier. Flexboardz and flexscoot websites have both been hacked/virused/... and shut down. It used to be a lot of information about the flex techno on it. I hope to get new plague-free websites very soon (with detailed info). In any case, I am always happy to share information and collaborate with someone who want to develop the techno for specific application. Do not hesitate to contact me. I just wanted to have a look to see if it might work for larger wheeled trikes. Don't the money to build one at the moment. But would like to see what it might take to make one. I hope to see your websites back on line soon. I think the concept has potential for the Boomers. Fun video. Don't think the music will reach them. Seems like sitting on a bar for any amount of time would be uncomfortable. Still want to have a look at your wheel tilt/lean mechanism. Could work well for a larger wheel trike. 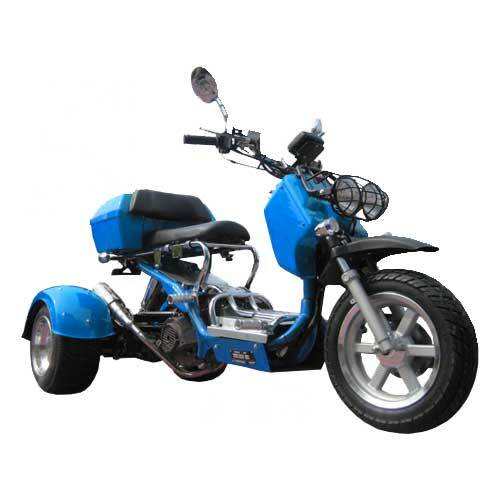 I still haven't seen many large wheel electric trikes in the market. I may not be looking hard enough though. I like this "concept." I think your rear wheel (tilt/lift) is a simpler mechanism and likely easier to build. Thanks for your advices, BGSurfer. I have another version with a more standard music. I plan to propose a more comfortable seat... but the concept is not "a seat with wheels" but a "vehicle with a seat"... as it's much faster, you spend 4/5 times less in it... so it may be unnecessary to carry a full seat (weight/size/convenience).